Leading Wholesale Trader of hitachi l300 ac drive, hitachi sj700 ac drive and hitachi wj200 ac drive inverter from Ghaziabad. 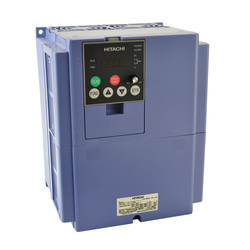 Unicorn Controls & Automation Authorized supplier of Hitachi SJ700 AC Drives in India. Hitachi SJ700 AC Drives are very energy saving drives. 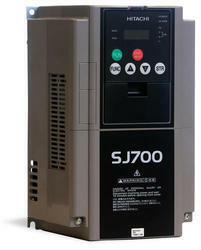 Hitachi SJ700 AC Drives are very economical in price as well as in Installation. Hitachi SJ700 AC Drive made from very latest technology from Japan. Hitachi SJ700 AC Drive are very easy to install & programming. We representing Hitachi AC Drives in market from last ten years. Our company providing good service & after sales. Unicorn controls & Automation leading supplier of Hitachi WJ200 Inverter drive in India. We are authorized Dealer of Hitachi WJ200 AC Drive. Hitachi WJ200 Series AC Drive work n all type of application. Hitachi WJ200 AC Drive have open loop vector control mode. Hitachi WJ200 Series drive have Communication RS485, Modbus, RJ45 Connector. Running in all type of application liek Fan, Pump, Grinder, Late, Lift, Hoist, Conveyor etc.